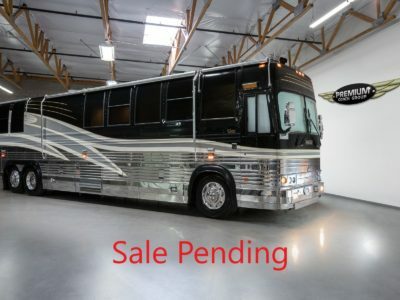 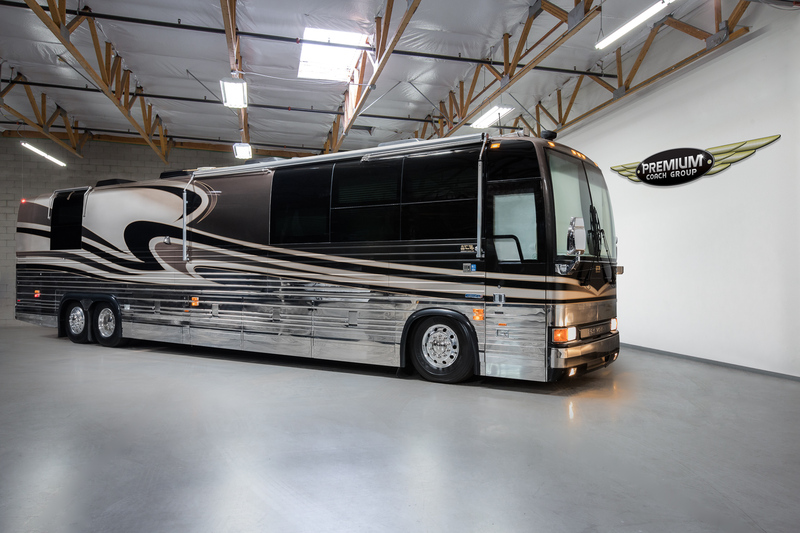 This gorgeous, low mileage, garage kept American Coach looks like new inside and out. 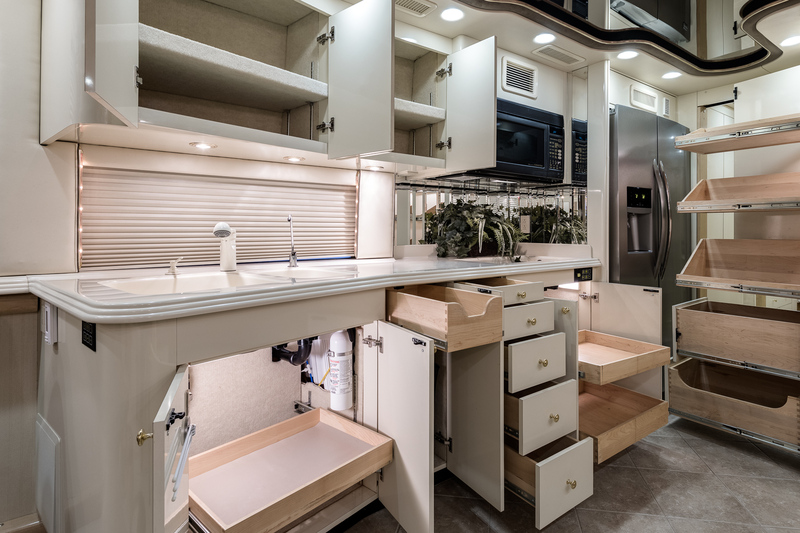 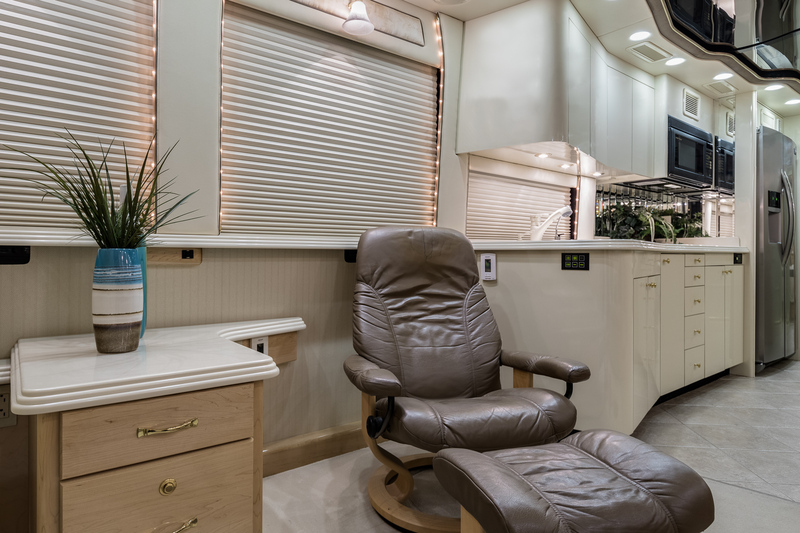 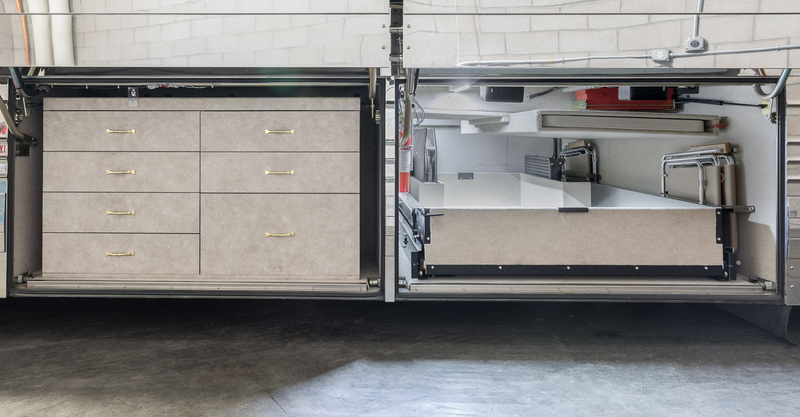 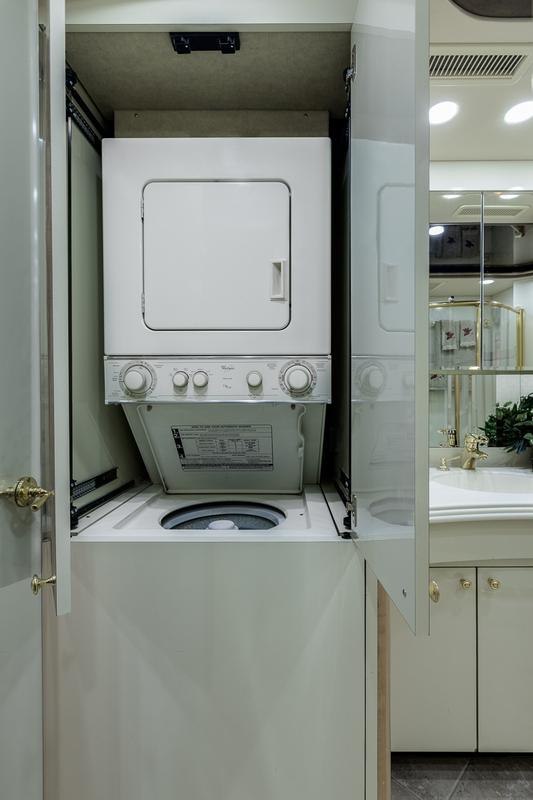 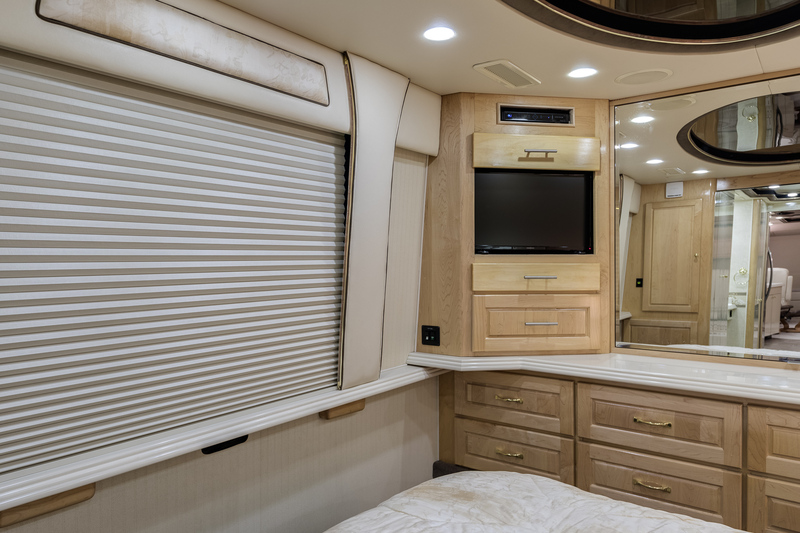 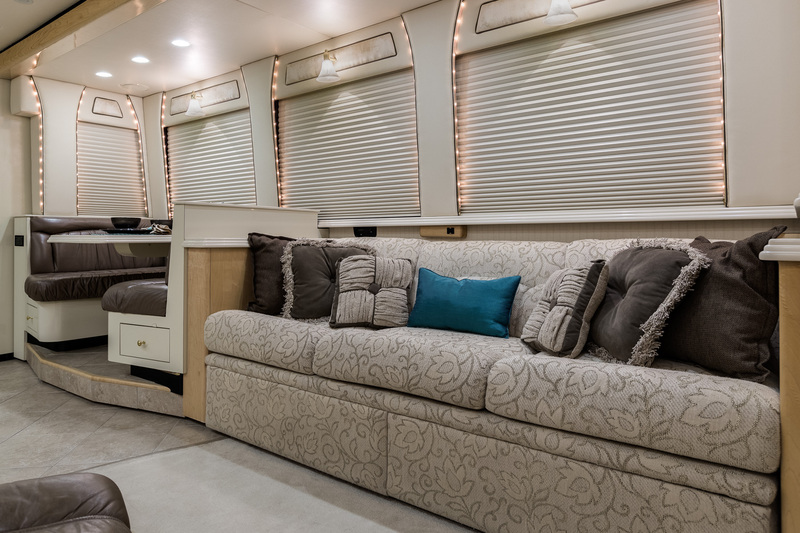 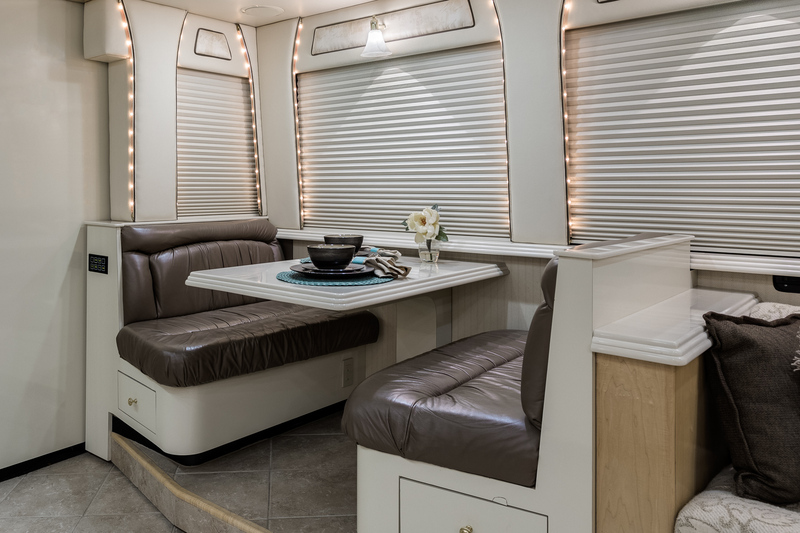 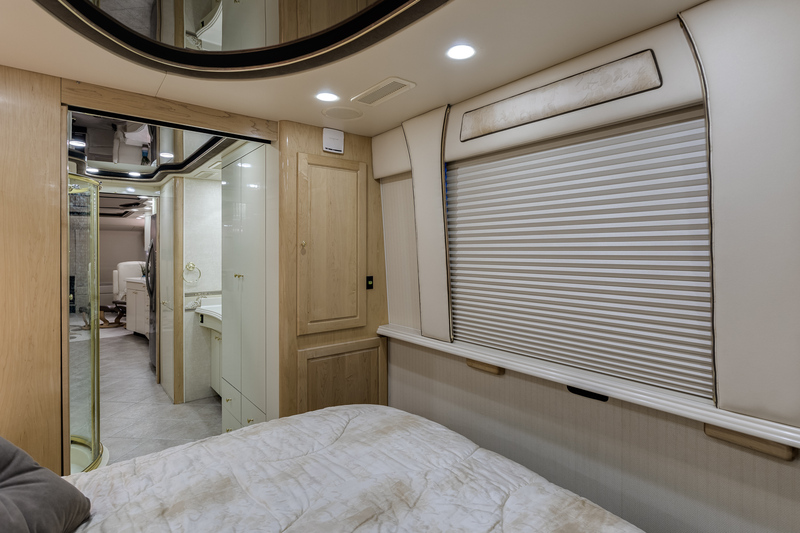 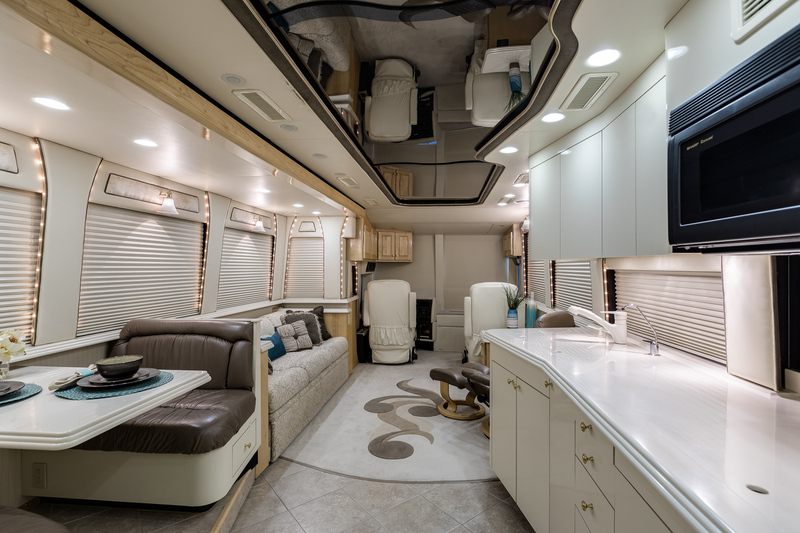 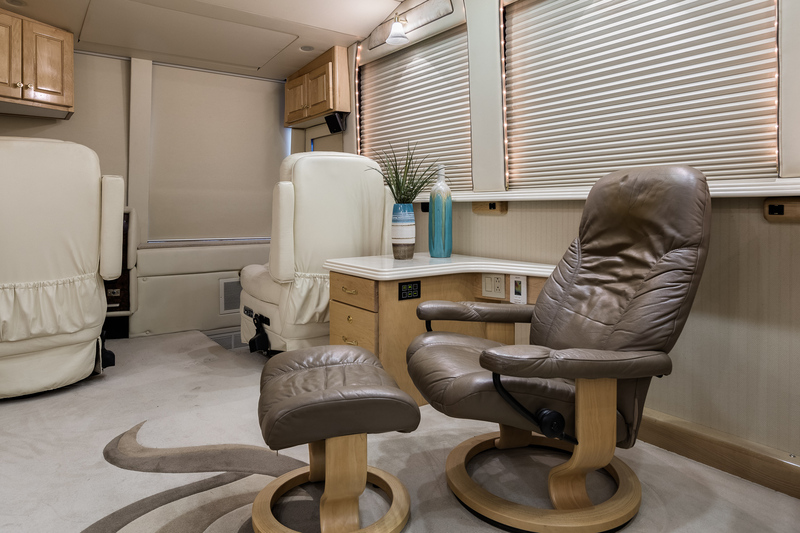 Equipped with a spacious provost salon slide, and a combination of light laminate, and maple hardwood cabinetry the interior is very bright and open. 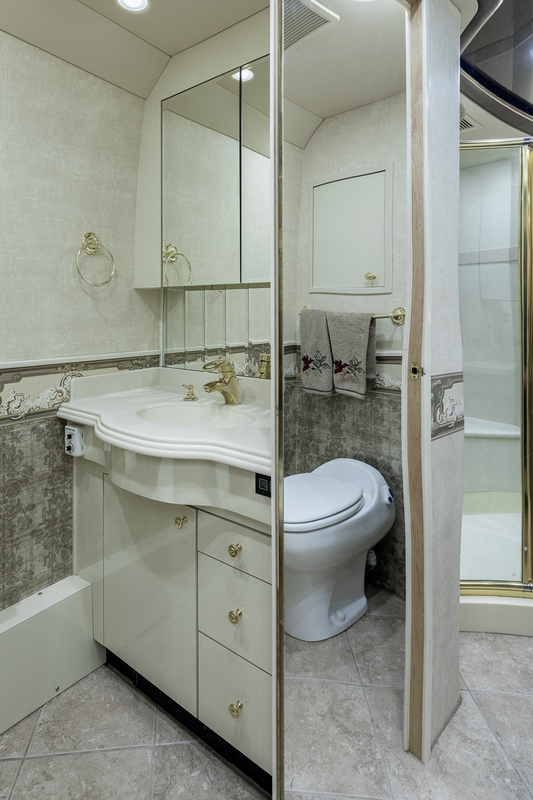 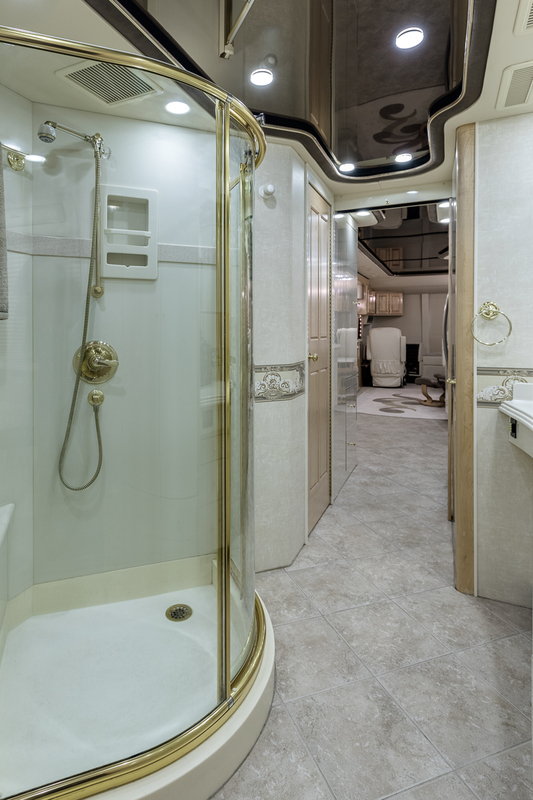 The coach includes, stacked W/D, recent SS refrigerator, dual vanities, huge shower w/bench seat, upgraded flatscreen TV’s and more. 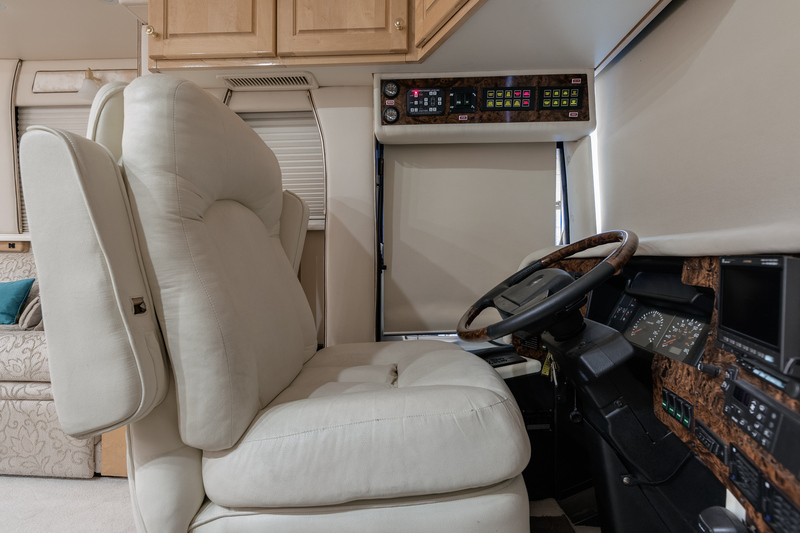 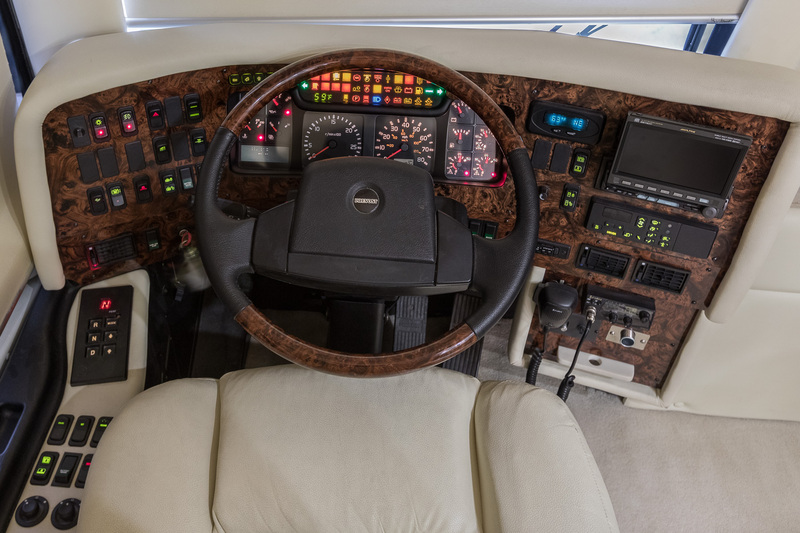 This well maintained coach has had numerous mechanical upgrades as well, including 365 Michelin steer tires, air bags, control arms, recent house AGM batteries, and service records are available. 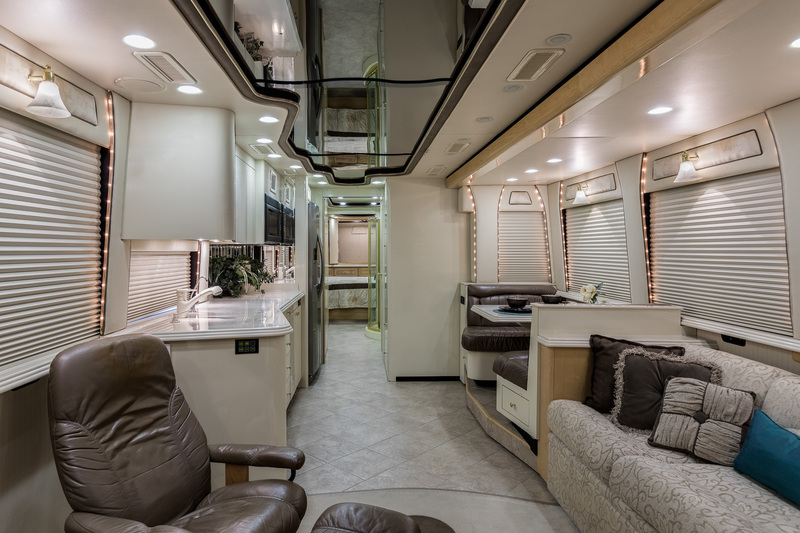 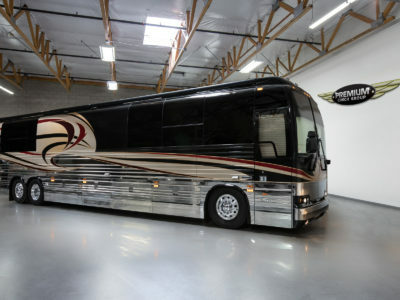 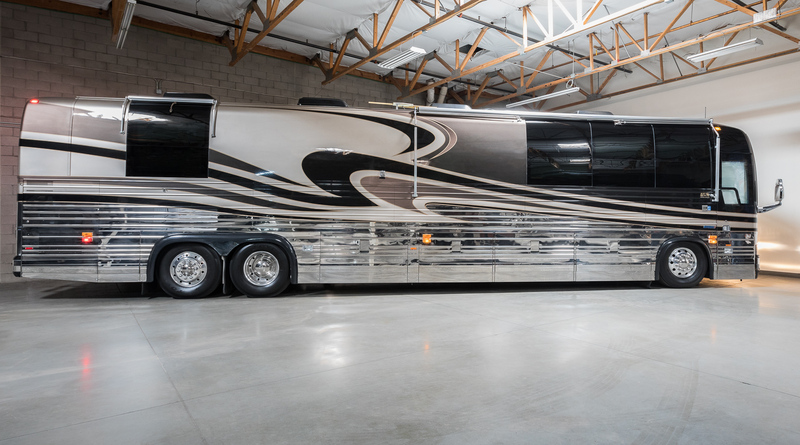 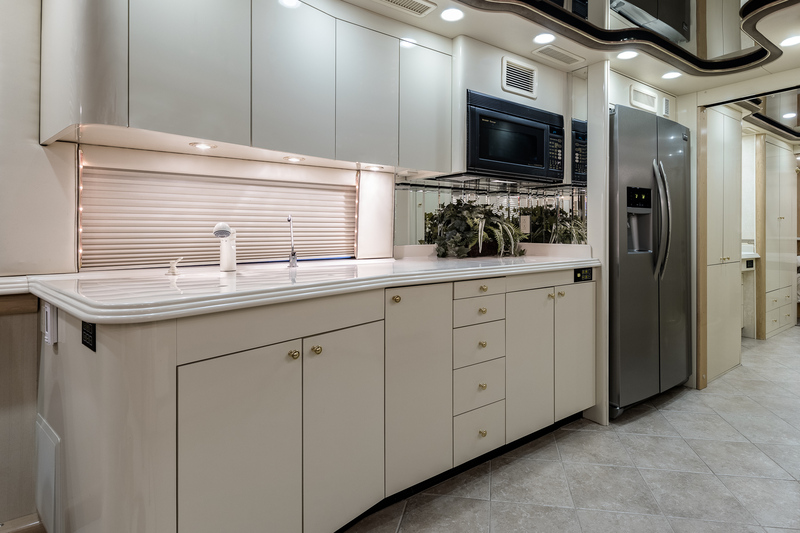 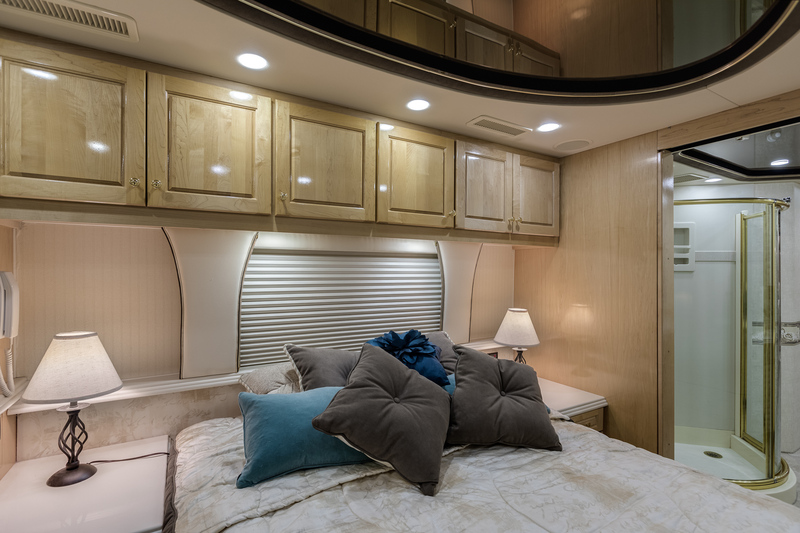 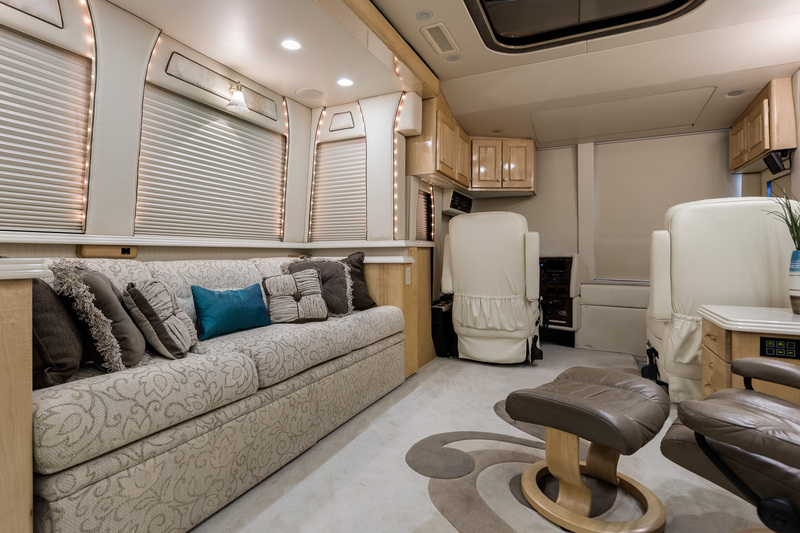 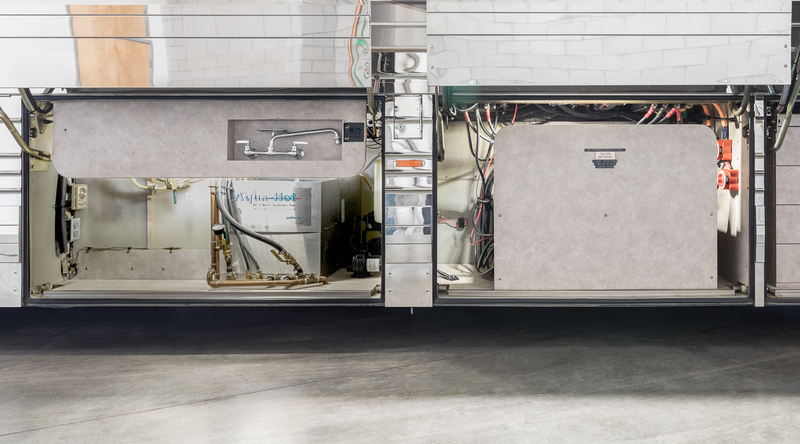 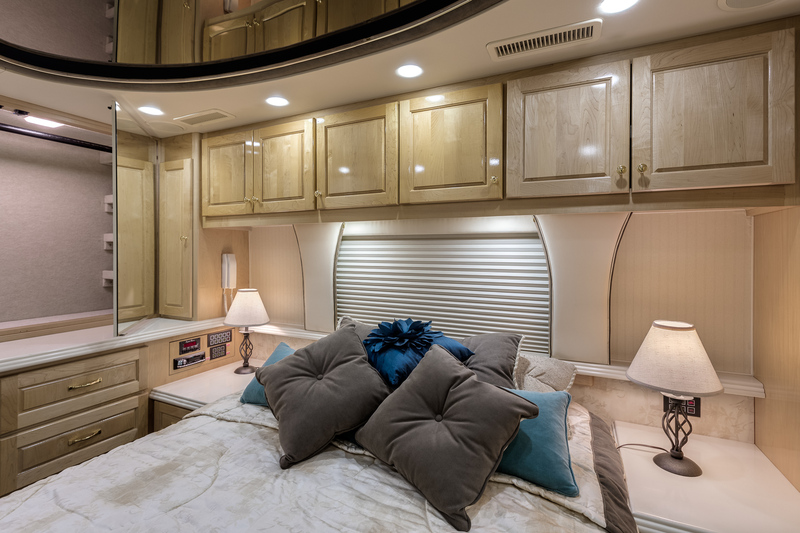 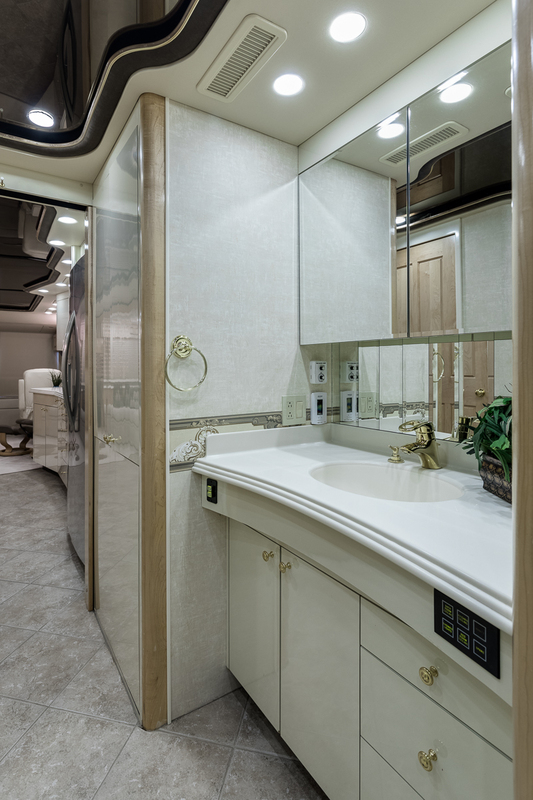 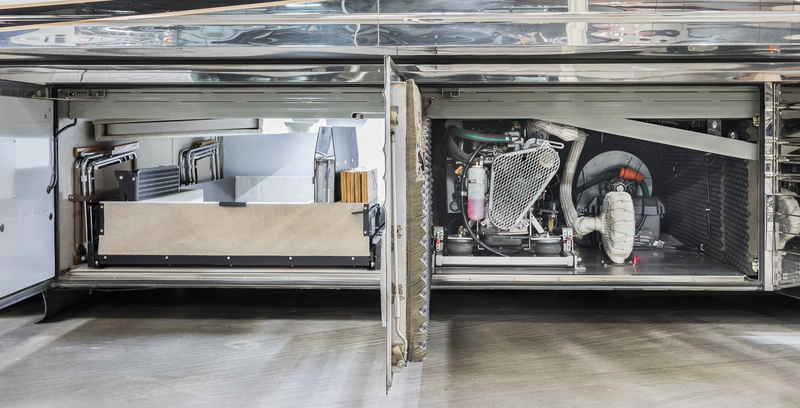 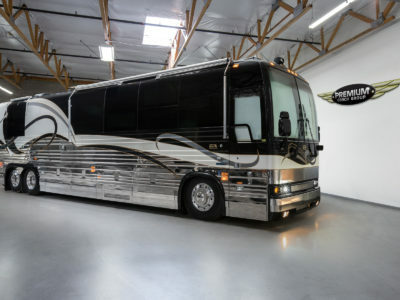 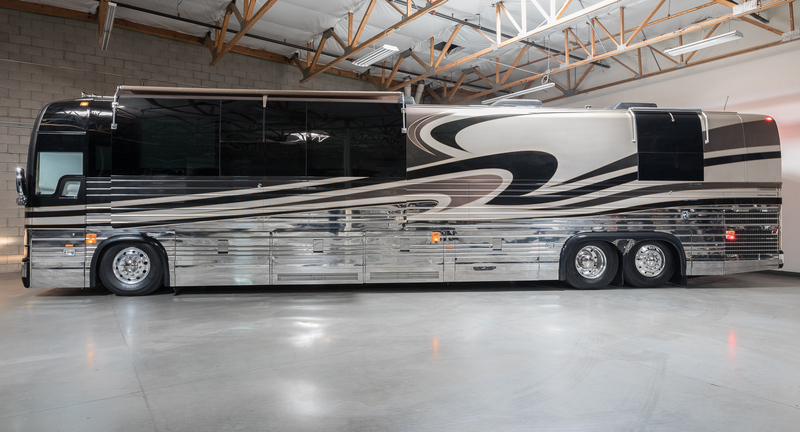 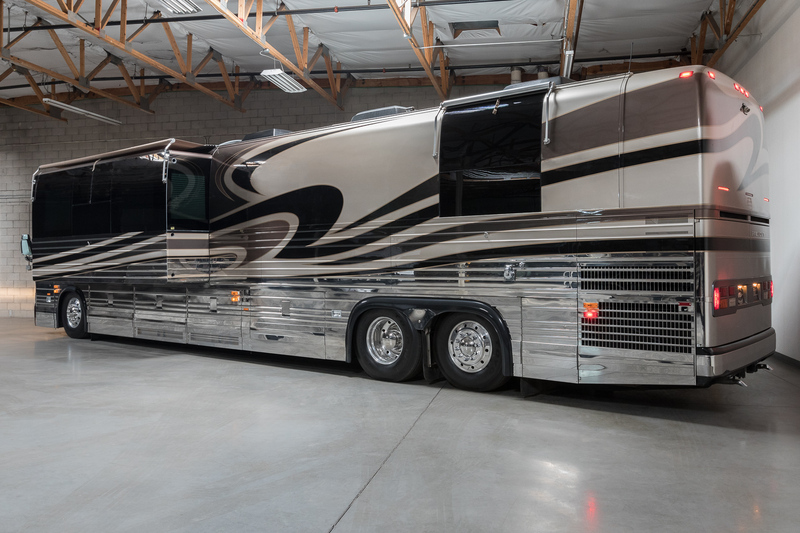 Please contact us to learn more about this wonderful, slide room equipped XLII Prevost.